According to reports in The Sun, Crystal Palace will look to offload Christian Benteke this summer – Newcastle should be at the front of the queue. 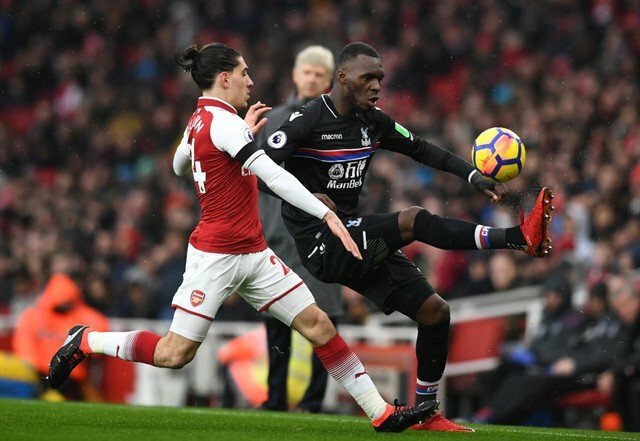 Benteke has had a torrid season at Selhurst Park, and the report claims Palace are happy to dump the striker this summer. Newcastle have had striker problems of their own, struggling to find a consistent Premier League goalscorer despite short spurts of form from each of Ayoze Perez, Joselu, and primarily Dwight Gayle. Palace are supposedly looking for a big time suitor from China, but will accept a bid of around £20million. The Eagles paid £27million to bring the Belgian to Selhurst Pack from Liverpool. Should Newcastle take the risk? There’s no doubt Benteke’s career has gone downhill since leaving Aston Villa. The 27 year-old failed to impress the Anfield faithful after his big money move to Liverpool in 2015 and hasn’t exactly made the intended mark at Palace either. However, he has proven he can perform to a high level in the Premier League, even in a team not creating lots of chances. Benteke, who is valued at £19.8million by Transfermarkt, scored 42 goals in 89 league appearances for Villa, including 19 in his first season at the club. The big Belgian has of course struggled at Palace, but there is an extremely negative feel around him at the club and has been since he joined. A change of scenery and a manager in Rafa Benitez who would truly push to get the best out of him could completely turn his form around. Combine that with Newcastle’s current lack of goalscoring options, and a £20million move for the striker could turn out to be a bargain.